Heat the oil in a wok over medium heat until hot. Add noodles and stir until noodles are soft. Add water a little at a time to further cook the noodles to around 70 percent. Do not overcook the noodles. With spatula, move noodles to the side of the wok and add eggs. Break egg yolks and cook the eggs until almost done. Stir the noodles to cover the eggs, add WATCHAREE’S pad Thai sauce, tofu, chives, radishes, and 2 cups of beansprouts. Mix well and turn off the heat. Drizzle WATCHAREE’S pad Thai sauce over steamed, baked or grilled lobster tails. Arrange noodles on a serving dish. 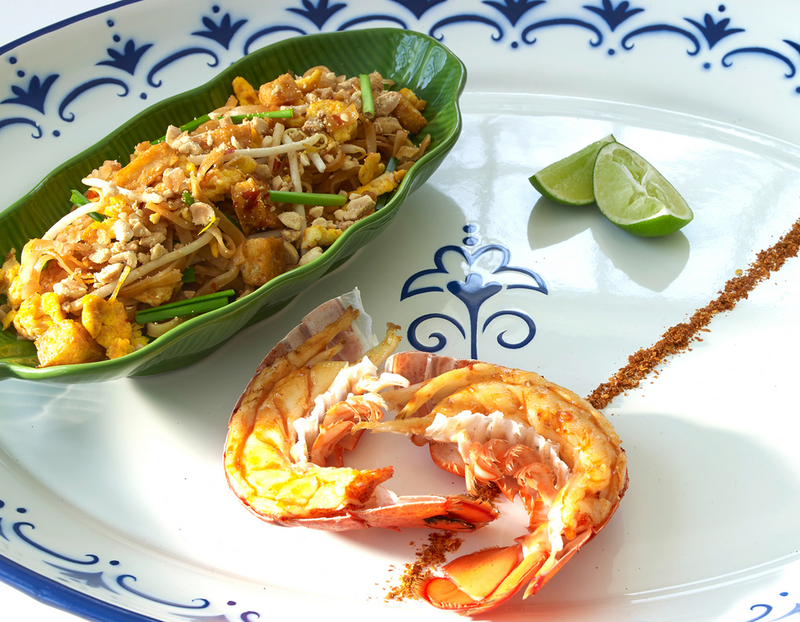 Serve with lobster tails, the remaining fresh beansprouts, ground peanuts, and lime wedges.